24 in 48 AND Summer Bibib Readathons??? That’s right, folks, its that time of year again- the time when the sun decides it wants to murder our skin (unless you’re an Aussie, sorry guys), more books than I could read in my life are published, and ALL OF THE READATHONS COME OUT TO PLAY. If you don’t know what a readathon is, it’s both supremely awesome and incredibly, devastatingly difficult. Basically, a bunch of people get together, usually on some kind of social media platform, and read as much as you can within a certain amount of time. Now, my favorite two readathons happen to be overlapping this year. Oh joy. BUT I LOVE THEM SO MUCH HOW COULD I CHOOSE. The first is the 24in48 readathon, which has a goal of reading 24 hours within a 48 hour time period. Last time, I wasn’t able to make the goal (I think I got about 22 hours), but it was still super fun and I got a lot of reading in anyway. The next readathon is the Summer Biannual Bibliothon, which is just as cool, a week long, and a gazillion times more complicated. As the readathon runs from Sunday the 23rd to Saturday the 29th, the blogging prompts are also hosted on the days of the week from the 23rd to the 29th. I hope you’ll join us! I’ll try to do as many of these as I can, but I’m not sure I’ll get to all of them. I’ll definitely be here Wednesday, though! Along with the blogging, Instagram, and video prompts, there are also reading challenges (as it is a readathon, after all)! You can see the announcement video here. I will be creating a TBR for this readathon, but I recently watched BooksandLala’s guide to readathons, and she recommended not creating your TBR until right before the readathon (which I thought was genius). Therefore, I’m going to wait to make my TBR, and I’ll announce that in another post. 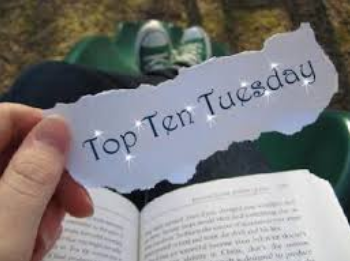 ‹ PreviousDown the TBR Hole: I can fall and talk at the same time, right? Next ›Down the TBR Hole: And another one bites the dust! I have just written my TBR for the Biannual Bibliothon and I am super excited! I’ll be doing the Summer Bibib and I just posted my TBR! Can’t wait for the blog challenges!